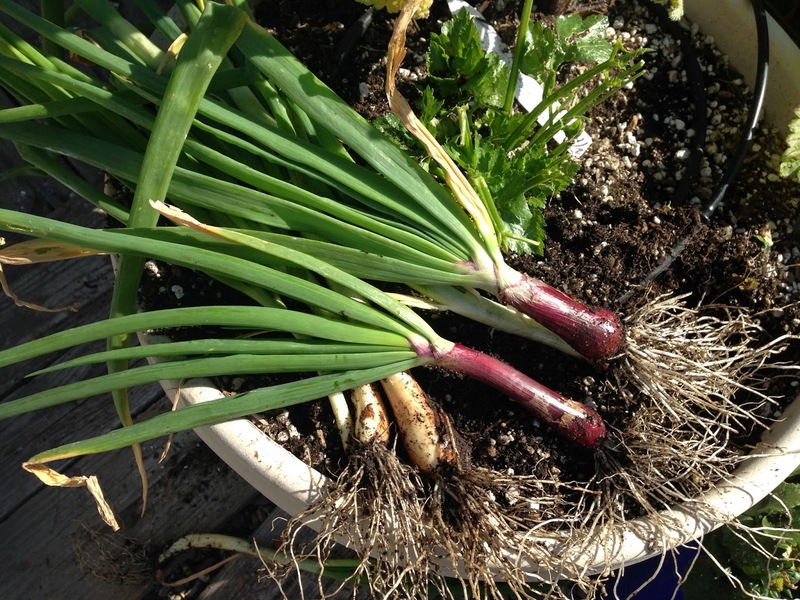 Graze the Roof: The Season of Aromatics ::: ONIONS AND GREEN GARLIC! 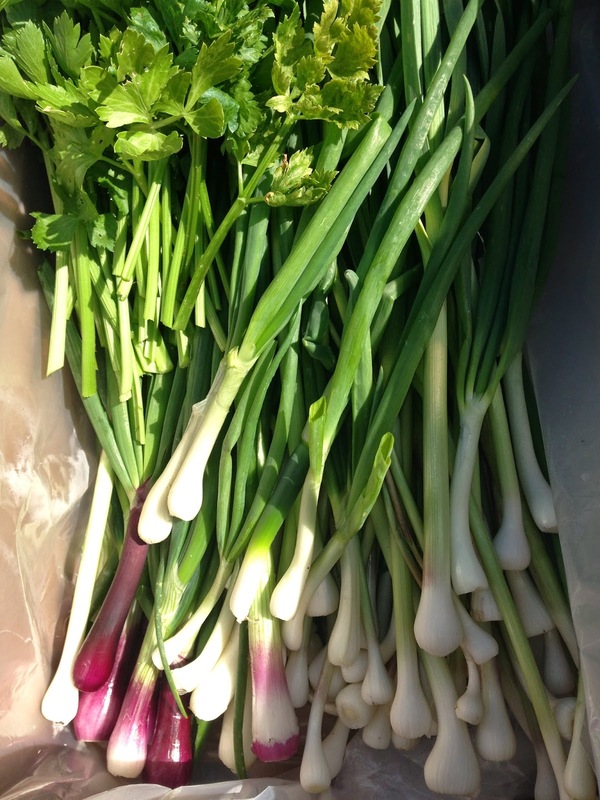 The Season of Aromatics ::: ONIONS AND GREEN GARLIC! 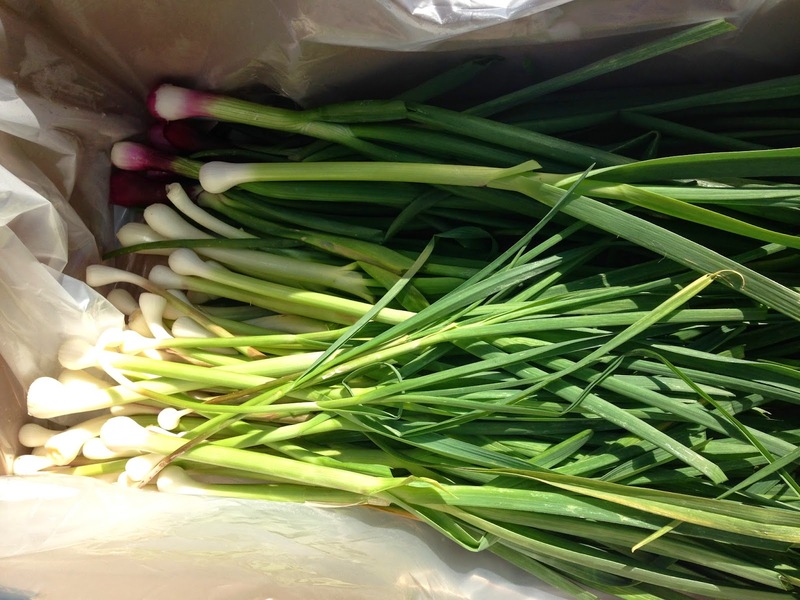 After many months of patiently waiting for our onions and garlic to mature, today we got the chance to harvest five pounds of red and white onions, and green garlic, as well as other ripe spring vegetables, including : green and red celery. After we harvested the onions and green garlic, we applied traditional farming techniques to clean our harvest. With this technique, all you have to do is take the outermost skin from the onion or garlic, and peel it back untill the skin meets the roots. 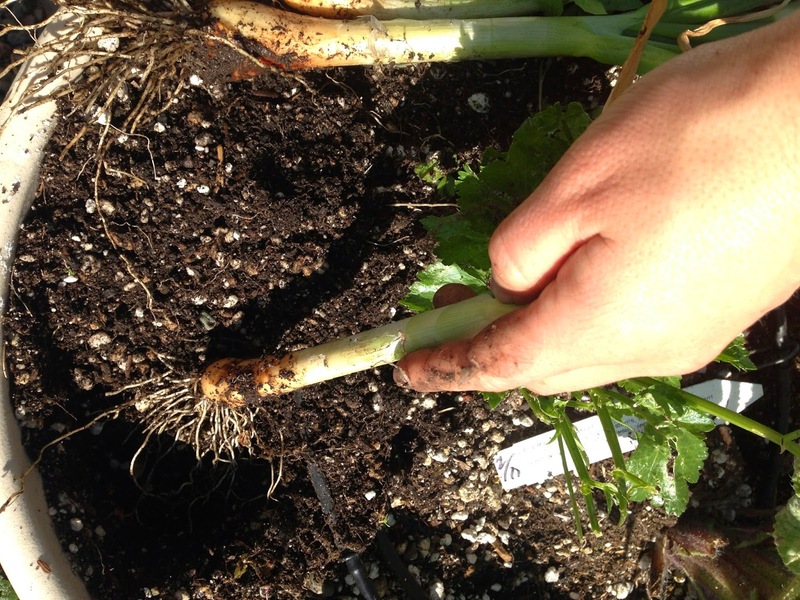 At this point, you want to snip off the roots along with the peeled back skin, using a pair of garden shears or scissors. This cleaning method is highly beneficial considering the absence of water, especially in times of severe drought. It is always such an honor to bring our weekly harvest down to Glide Memorial Church's Soup Kitchen! 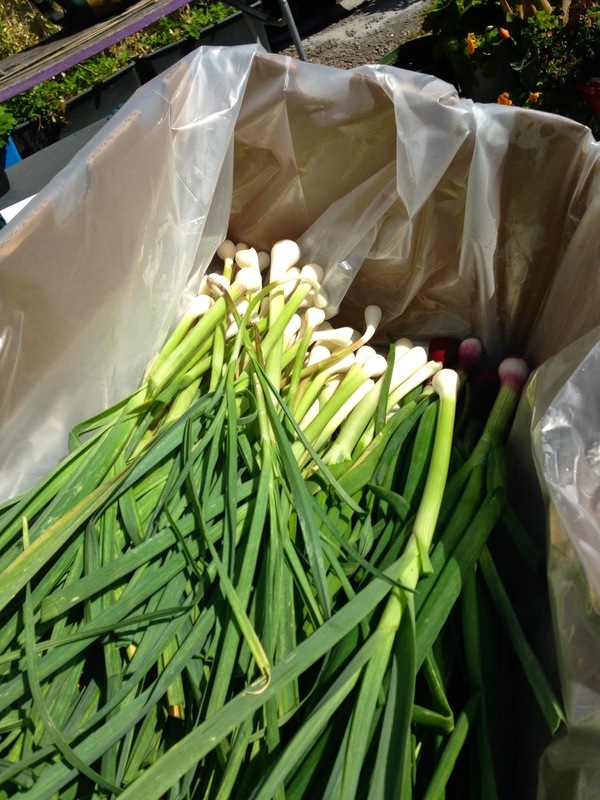 The GLIDE chefs appreciated the seasonal harvest of aromatics. Graze the Roof was discovered by a french couple traveling around the US and Canada who came and volunteered in the garden. During their stay, this is what they had to say, “We were glad to help and learn about rooftop agriculture with Nik, Graze the Roof is one of our '5 free and cool things to do in SF' on our blog." Come be a part of the gratifying and fun educational experience! Our volunteer days, are every Thursday from 10a-2p. No experience required! Email grazetheroof@gmail.com with any questions you might have about our project! Hope to see you in the garden sometime soon!